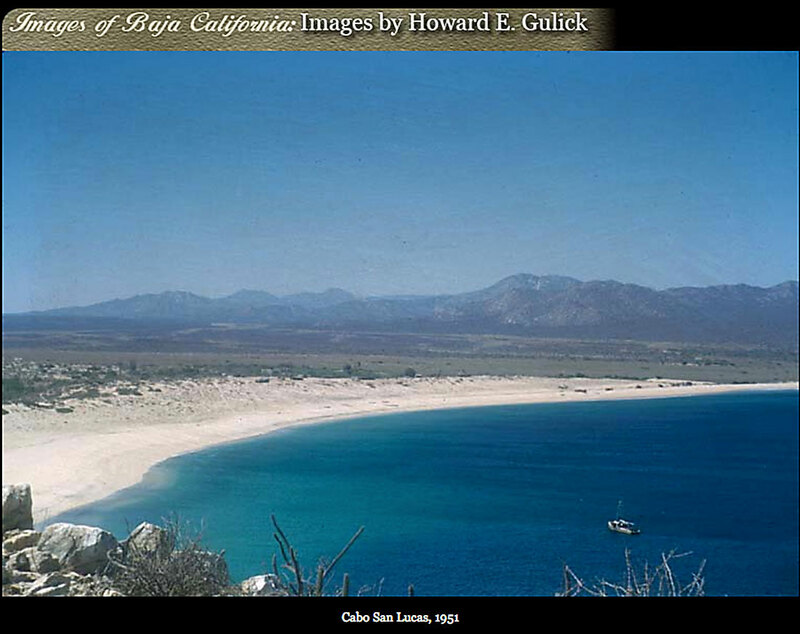 Cabo San Lucas bay and what is now called Playa el Médano. The photo looks like it was taken from the top of the rock formations near land’s end. Photo by Howard E. Gulick.